Mark McManus heads the area of Annuity and Long-Term Care Insurance for Baystate Financial. Prior to joining Baystate Financial in January of 2006, Mark was a Regional Vice President with Metlife covering Upstate NY and Western PA.
Mark began his career in the financial services business during the spring of 1993 with the MetLife agency located in Worcester. Two years later, he transferred to the home office where he has held various positions from Marketing Systems Consultant to Field Training Officer. In the fall of 1999, he joined the annuities division as Regional Marketing Director for the southeast region, and assumed responsibilities for the northeast region in January of 2001. 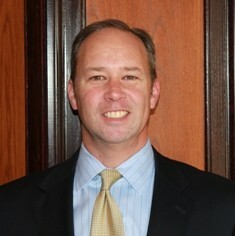 Mark led in annuity sales in the Northeast region from 2001 to 2004. Mark enjoys golfing and spending time with his family. He currently resides in Holden, MA with his wife, Kim, their daughter, Megan and son, Patrick.